Exceptional and lovingly maintained home by owner occupant for 30+ years. 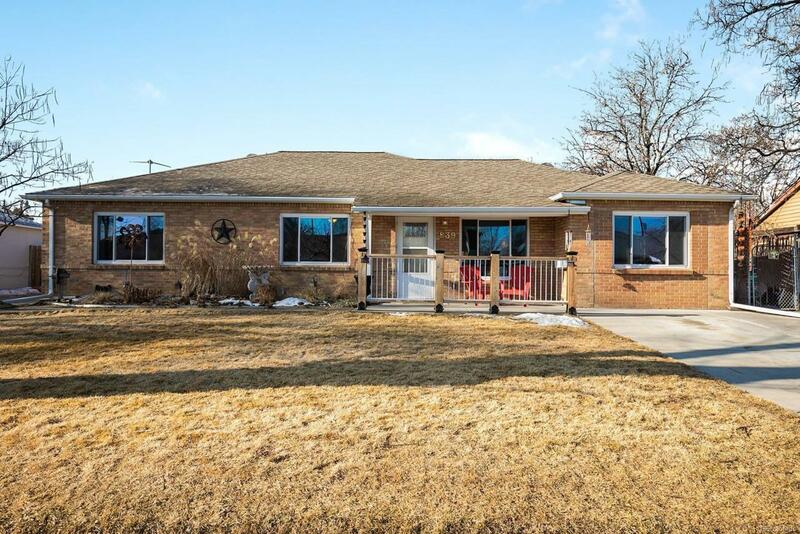 This brick ranch boasts an open living area with large windows throughout creating bright and inviting spaces. Tasteful updates include bathroom renovations w/new vanities, fixtures and tile; skylight; new kitchen countertops, tile backsplash and flooring, quality appliances; new carpet in bedrooms; durable wood laminate flooring; modern light fixtures; fresh paint. Many exterior amenities! Inviting front porch with established perennial xeriscape garden. Large mature elm tree provides summer cooling shade for yard and home. Private backyard features covered entertainment patio with hot tub, enclosed sun-room, inviting lawn, terraced area for urban gardening, and 8x20 shed. Huge detached 2.5 car garage offers ample space for cars, toys, or workshop. Incredible Location: walking distance to Fitzsimons, VA, CU Medical Center, Childrens Hospital, RTD Light rail. Short drive to Stapleton, Downtown, I225, DIA, more!